Business Development/ Senior Business Development. 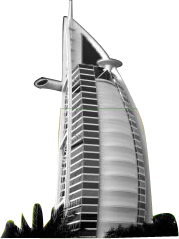 -Open to look at candidates from Abu Dhabi provided they have experience in general insurance. The Netways Pre-Sales Engineers are responsible for actively driving and managing the technology evaluation stage of the sales process, working in conjunction with the extended sales team as the key technical advisor and product advocate for Netways. The Pre-Sales Engineer must be able to articulate Netways technology and product positioning to both business and technical users. Must be able to identify all technical issues related to the assigned accounts to assure complete customer satisfaction through all stages of the sales process. Must be able to establish and maintain strong relationships throughout the sales cycle. Our client is a specialized global company delivering automatic transmissions to the commercial vehicle segment. By working closely with key OEMs the company is able to continuously innovate and bring to market a product range that delivers greater reliability and efficiency to end users. The company carries out commercial activities with multiple stakeholders, although direct sales are made only to manufacturers. By engaging in demand generation with commercial fleet owners, our client is able to articulate the value proposition of their transmissions as an add-on option to a broad range of commercial vehicles. The Market Developer will be responsible for creating awareness among key fleet managers of the benefits that your company’s transmission can have on their operations, thereby ensuring that when fleets are renewed, your products are purchased as an option. The Market Developer will spend the majority of their time visiting potential clients and creating a strategic overview of target fleets. They will be able to confidently engage with clients on a number of levels, discussing both the technical, long-term financial, as well as environmental benefits of the transmission. Furthermore, the Market Developer will need to work confidently with long sales cycles, and will need to invest in building solid relationships across the value chain with fleet managers, importers and ultimately even local OEMs. This is a role ideally suited to an individual who is pragmatic and results driven, but who understands the complexities of a tiered sales cycle and can work with strategic goals in mind. At its core, this is a demand generation role that does not have direct turnover targets. It therefore requires an individual who is able to deliver strong performance even when dealing with ambiguity, and not always being able to identify tangible results from individual activities. confidently navigate long and complex sales cycles. A team player will be far more successful in this role, ensuring that they openly seek support as needed, and also provide insights and help to their colleagues. We are a Electromechancial and A/C contracting company based in Abu Dhabi. Develop the business by identifying and acquiring new clients for the company. Locate and or propose potential business deals by contacting potential clients and exploring business opportunities. Closes new business deals by coordinating; developing and negotiating contracts; integrating contract requirements with business operations. Enhances organization reputation by accepting ownership for accomplishing new and different requests; exploring opportunities to add value to the company. Work on achieving a monthly target of sales and marketing strategy in coordination with senior management. Should have good knowledge about the Abu Dhabi Market. Excellent communication skills with a pleasant personality. Responsible for leading and guiding a team people in the organization. Sets goals & quotas, build a sales plan, analyze data, assign training's and mentor the members of the sales team. Responsible in planning and implementing sales programs as per business plan. Maintain contact with key markets by visiting and investigating of the operating and local conditions. Design and implement all the sales strategies to achieve the sales target. Capable to do a market research in order to identify market requirements for current and future products. Must be consistent, profitable growth in sales revenues through positive planning and management of key accounts. Excellent communication skills to deal with customers and prospects at different levels. Must be able to understand financial margins and taking prompt action in solving related challenges. Responsible for marketing of products and services to both B2B and B2C markets. Establish and maintain effective working team relationships with all departments. Must have analytical skills to customize sales approach to customer type. Actively involved in Business Development to ensure growth of the business. Ensure achievement of targets and goals set by the department. Strictly adhere to the policy and procedures of the company. Supervise and manage each member of the sales team to ensure their compliance of the policy and procedure. Liaise with the suppliers and efficiently manage the procurement process. Should have minimum 8 - 10 years UAE, FMCG experience in Horeca sector. Must have experience of retailers, wholesalers, Horeca, competitors, products. Must have at least 8 - 10 years of experience in Sales & Marketing . Preferably Eastern or Central Europeans . Proficient in both verbal and written English Language . Must have a Degree in Marketing or Business Administration, preferably Masters but not a mandate. Have good experience with UAE chains (Lulu; Carrefour; Choithrams; Mohebi; Coop Societies; etc.) & B class supermarket. -Maintain and develop existing and new key customers to optimize sales, quality of service, business growth, and customer satisfaction. -Develop / secure new business opportunities with individual accounts within the territory/market and grow specific key accounts by developing and negotiating business plans supported with performance related agreement to profitably grow volume and share within the key accounts/channel. -Contact new and existing customers to discuss their needs and to explain how these needs could be met by specific products and services.